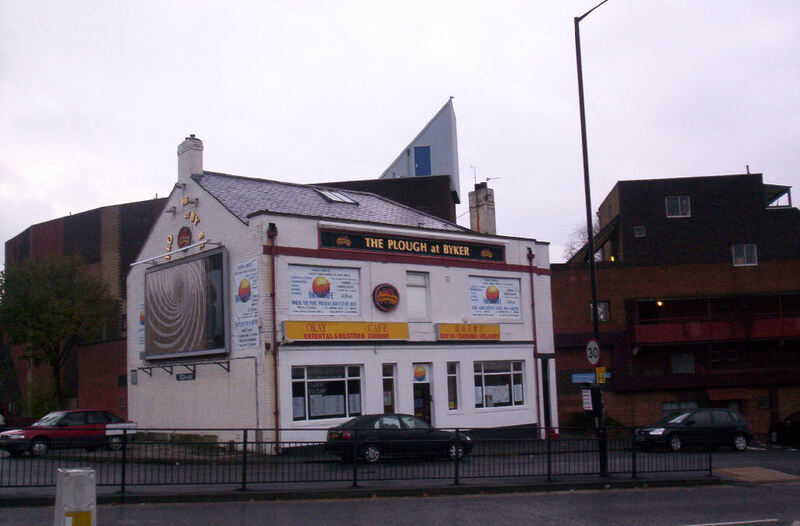 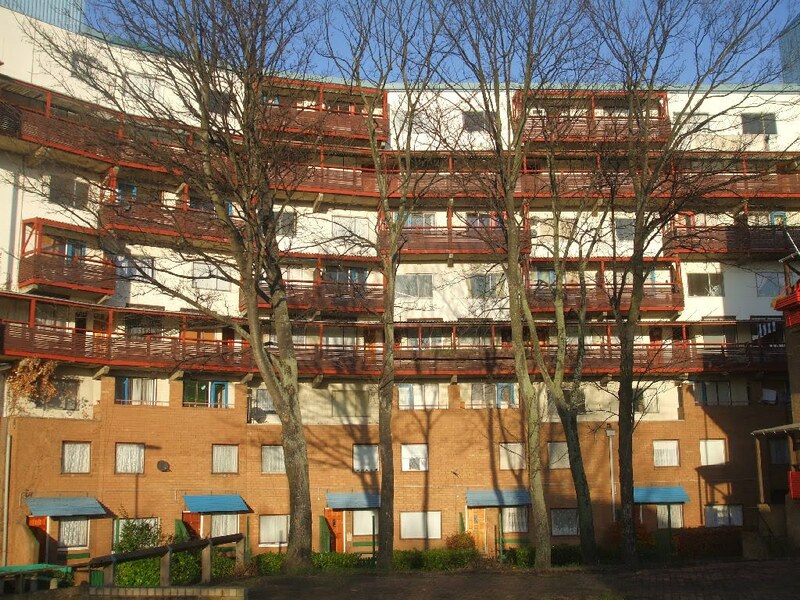 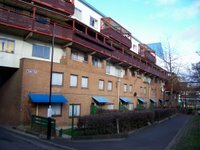 The Byker Wall is the name given to a long unbroken block of 620 maisonettes in the Byker district of Newcastle upon Tyne, England. 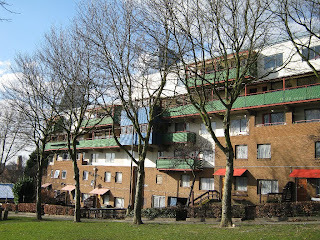 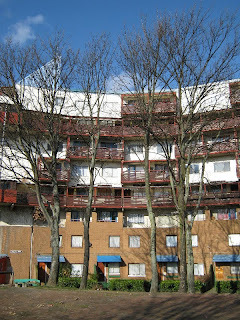 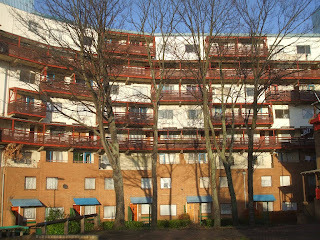 The block was designed by the notable architect Ralph Erskine assisted by Vernon Gracie, and was built in the mid-1970s. 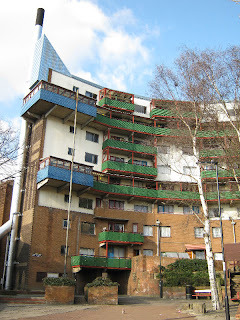 Its Functionalist Romantic styling with textured, complex facades, colourful brick, wood and plastic panels, attention to context and relatively low-rise construction represented a major break with the Brutalist high-rise architectural orthodoxy of the time. 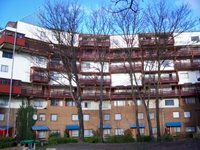 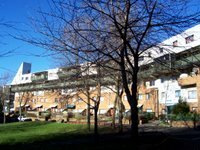 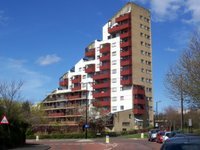 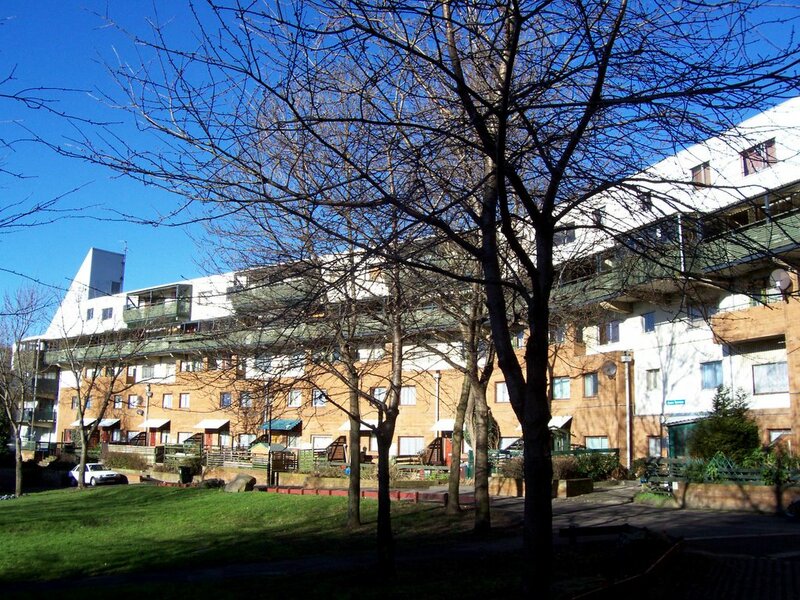 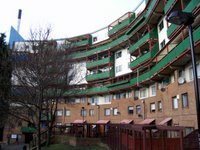 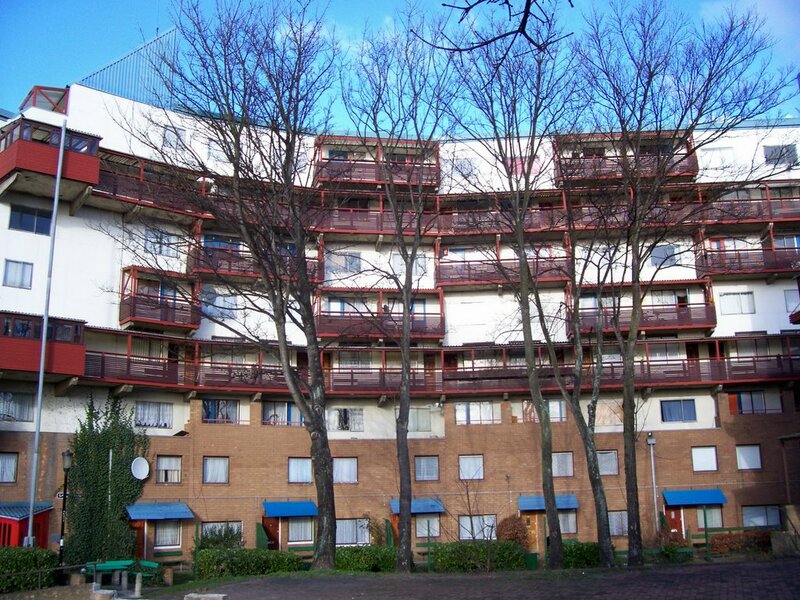 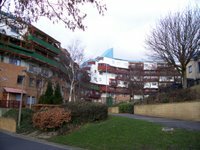 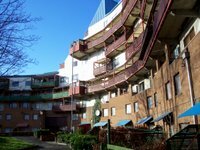 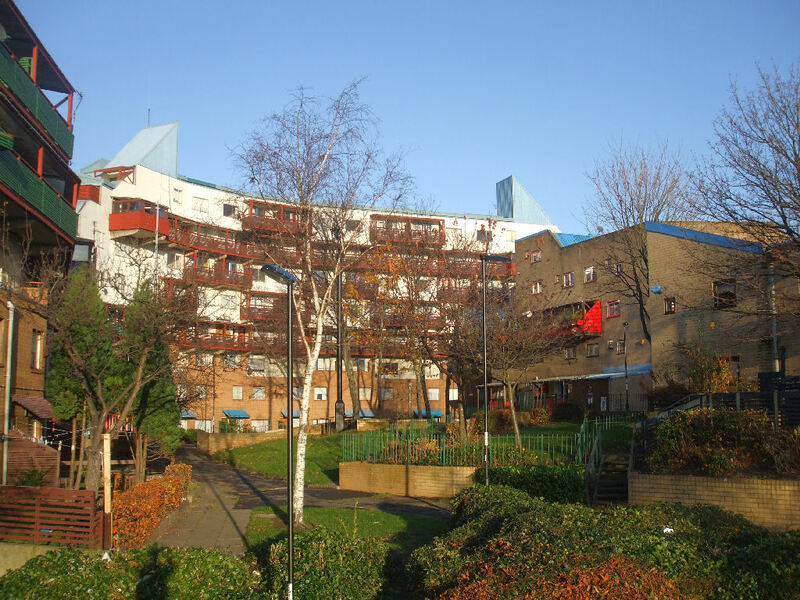 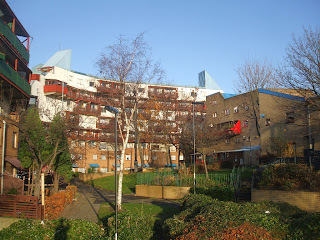 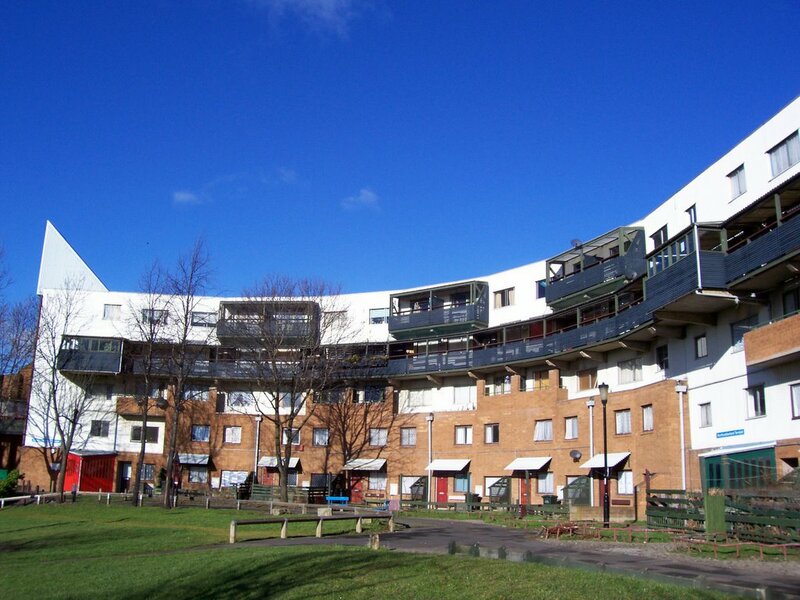 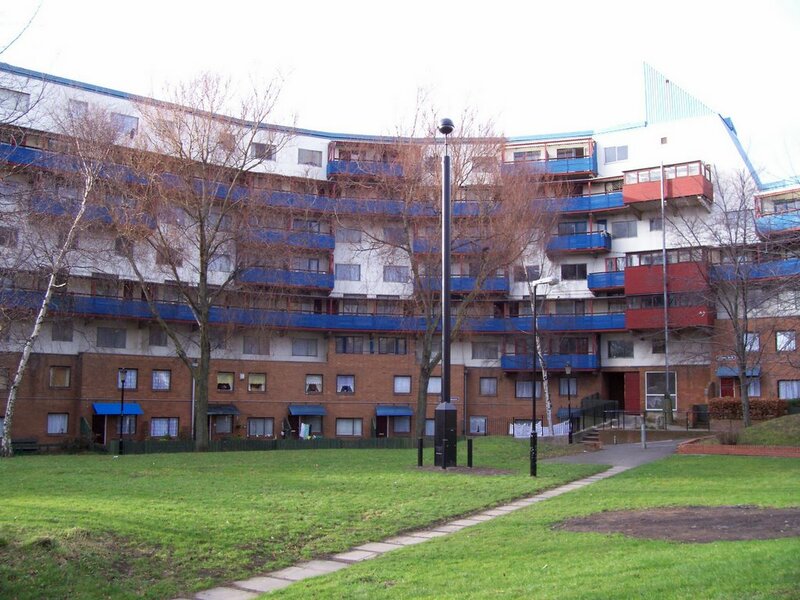 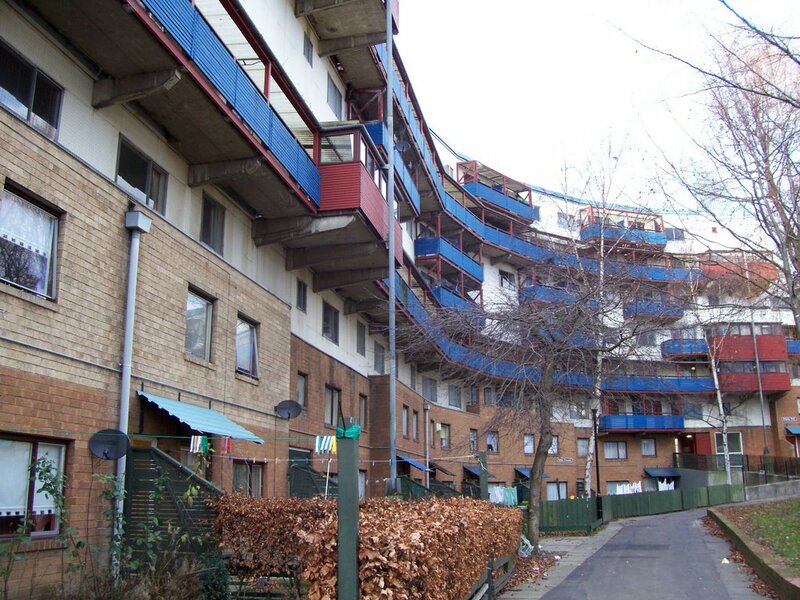 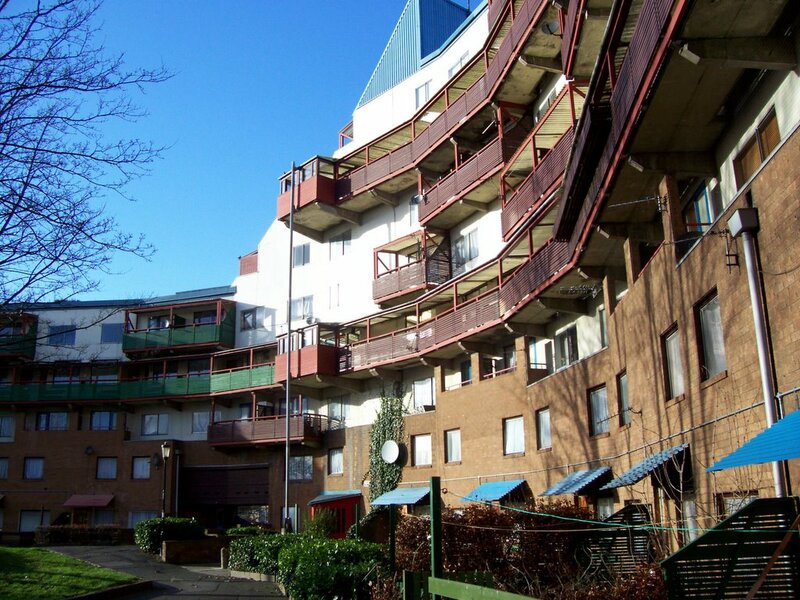 Its innovative and visionary design has earned it many awards notably the Civic Trust Award, the Eternit Award, the Ambrose Congreve Award for Housing (in 1980) and the Veronica Rudge Green Prize for Urban Design from Harvard University. 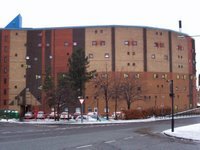 The Wall has also been placed on UNESCO's list of outstanding twentieth century buildings. 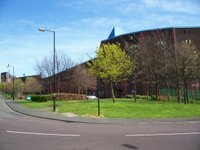 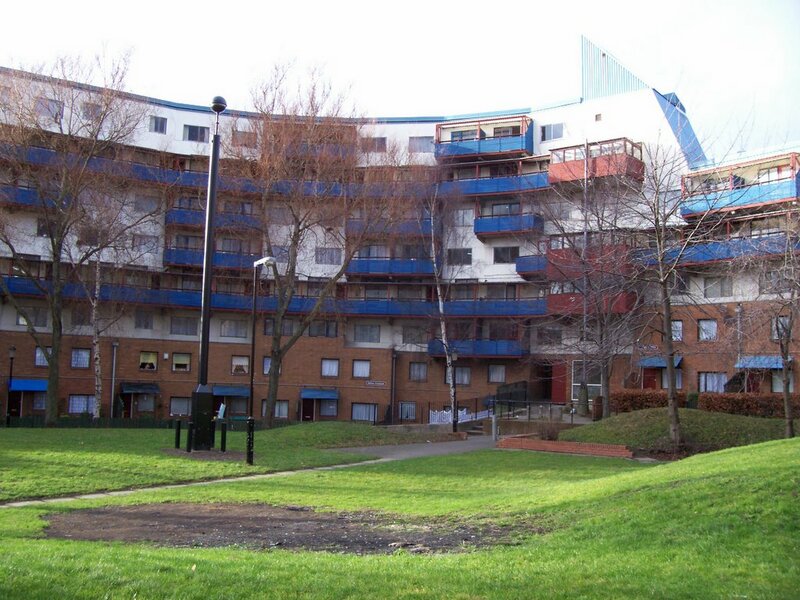 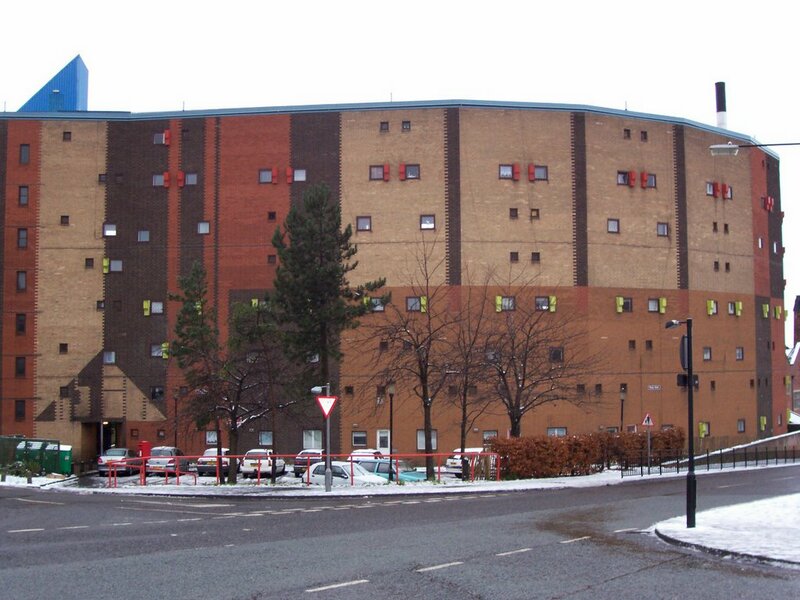 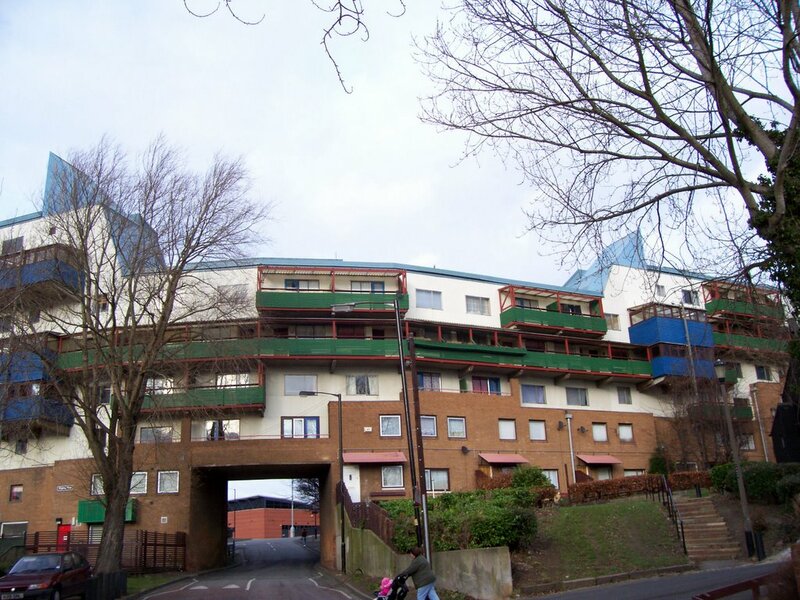 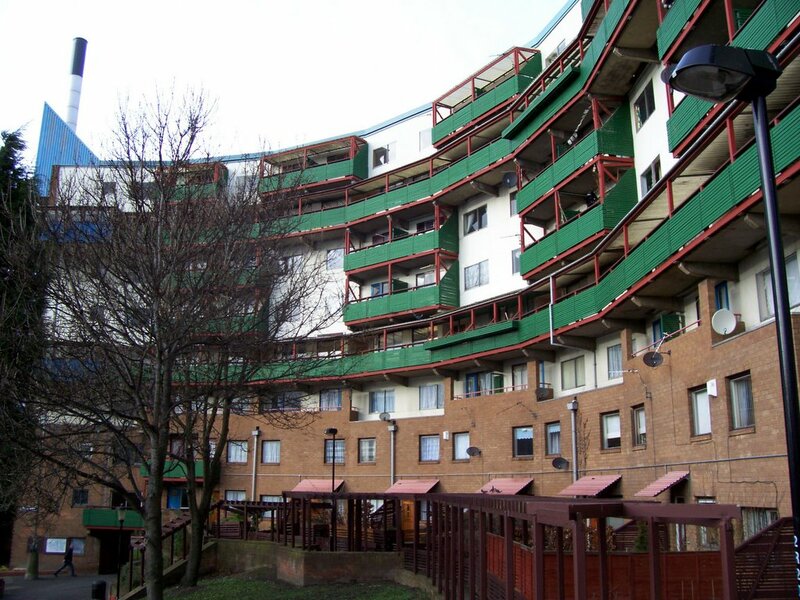 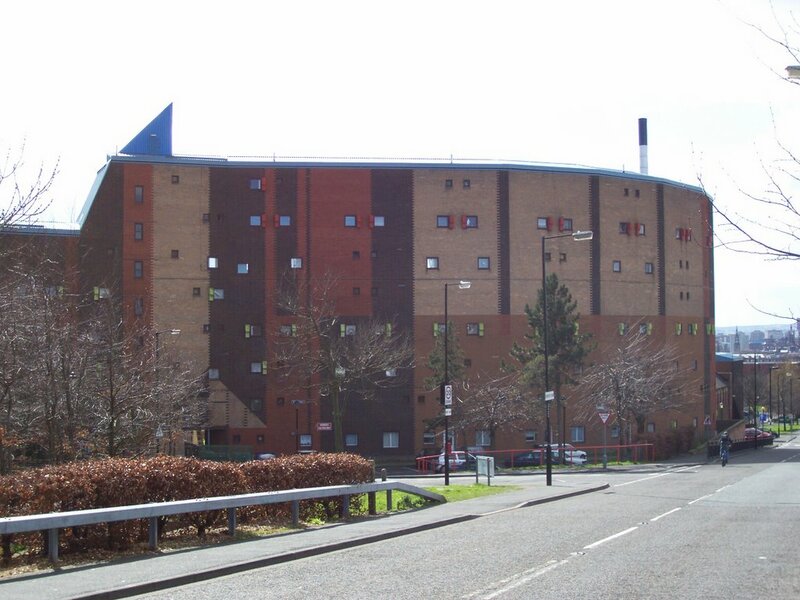 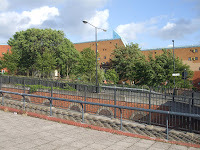 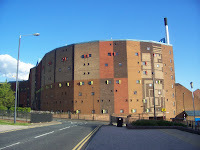 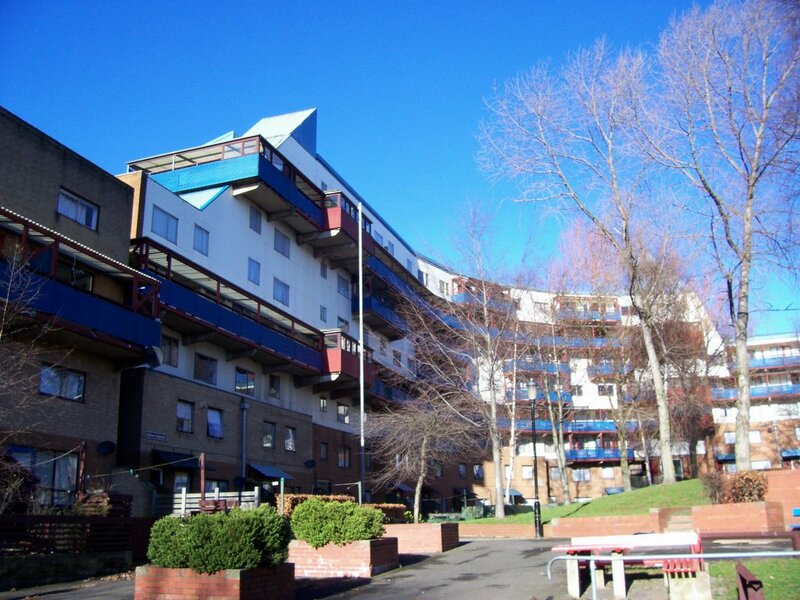 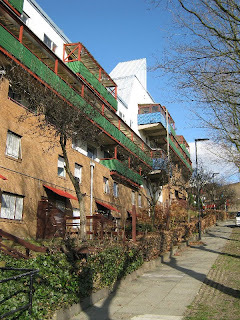 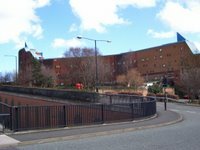 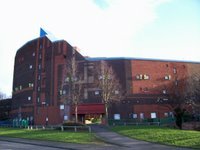 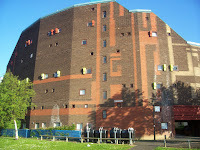 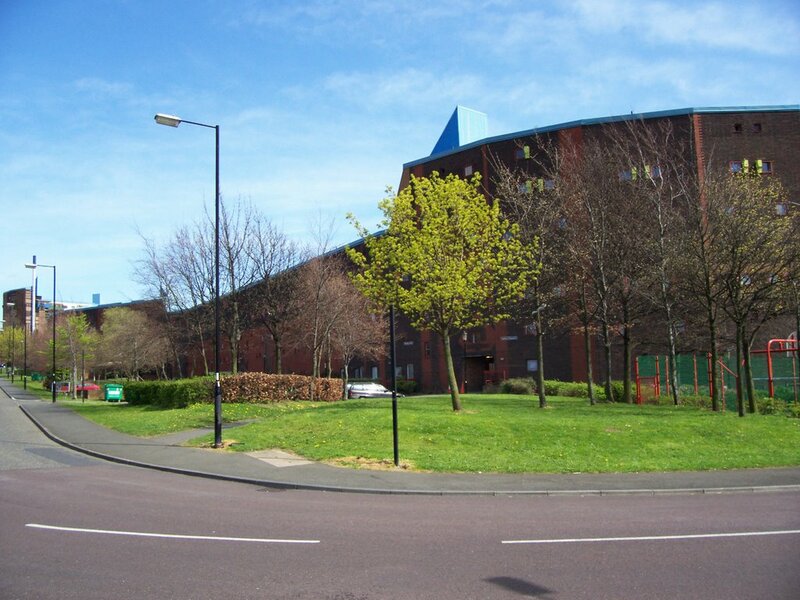 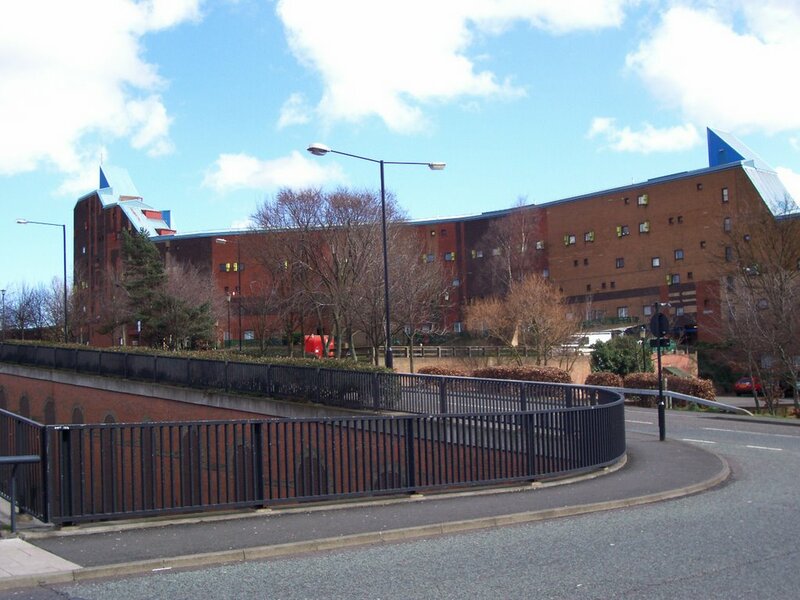 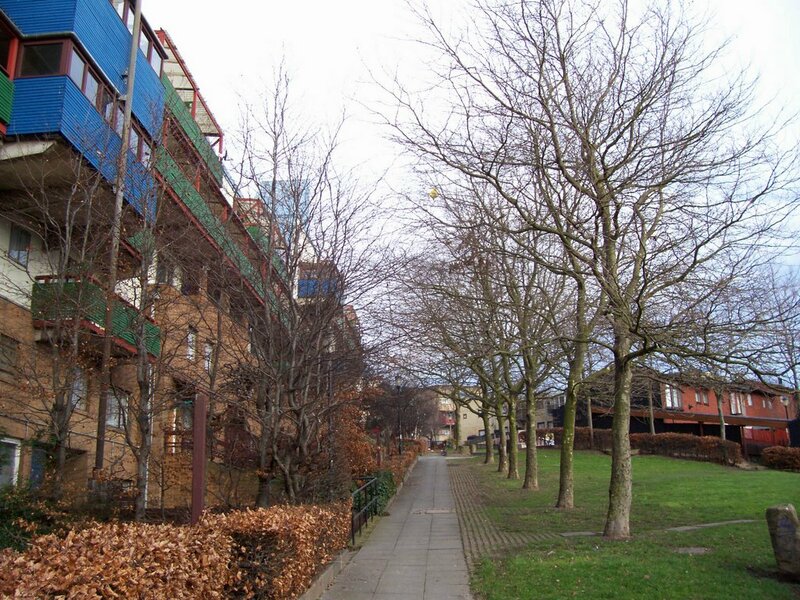 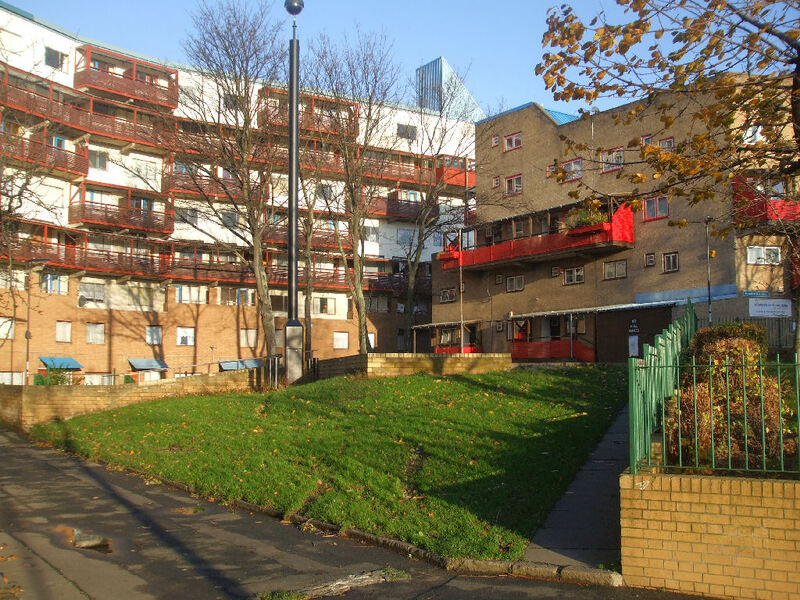 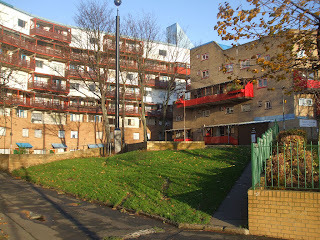 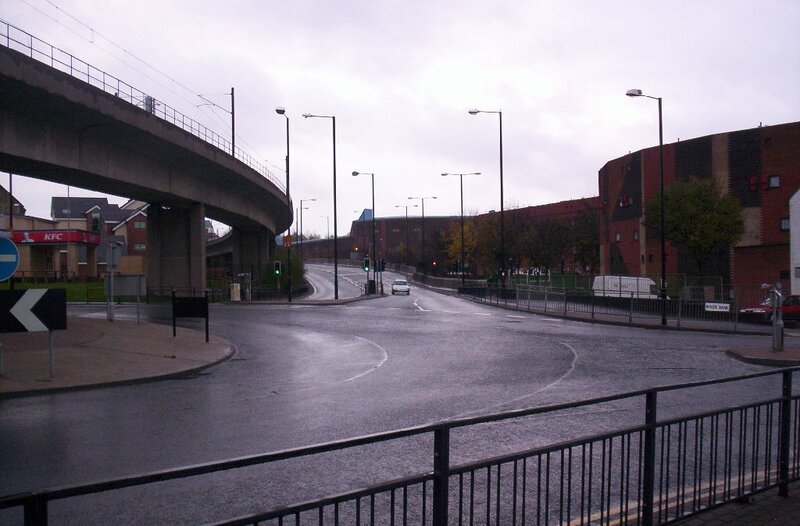 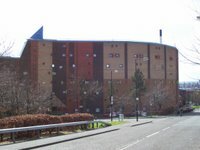 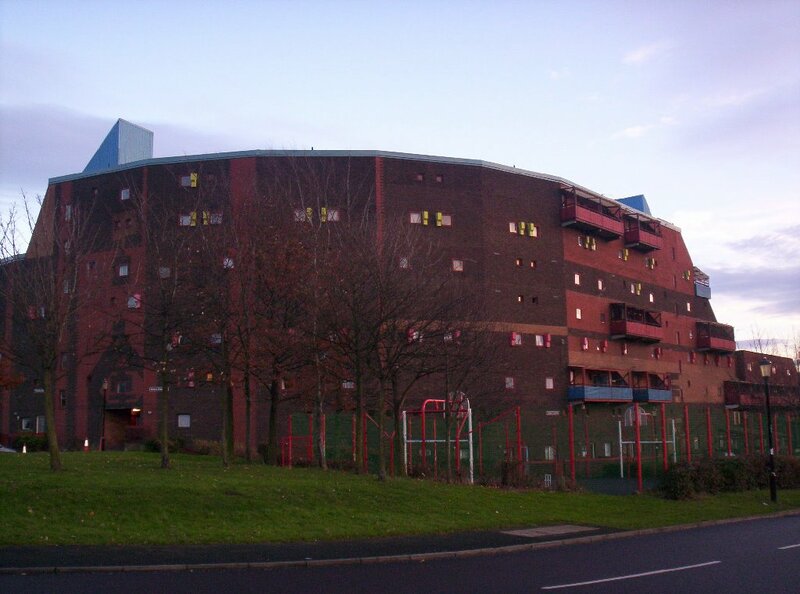 In 2003 the UK Department for Culture, Media and Sport announced a proposal to award the Byker Estate, of which the Wall forms a part, a Grade II listed rating as an example of outstanding architecture. 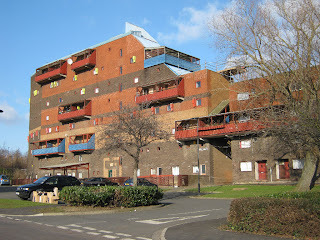 In 2007 the Estate became a grade II* listed building (grade two star). 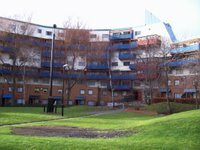 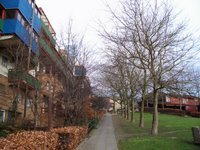 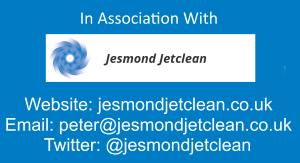 Refurbishment of the whole estate was commenced in partnership withYour Homes Newcastle, the social housing arm of Newcastle City Council. 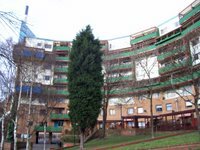 The work is being undertaken by Mansell, a division of Balfour Beatty. 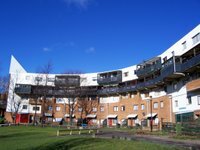 The work involves careful reinstatement of original features and colour schemes, using modernised materials where possible, while retaining the look and feel of the 1970s design scheme. 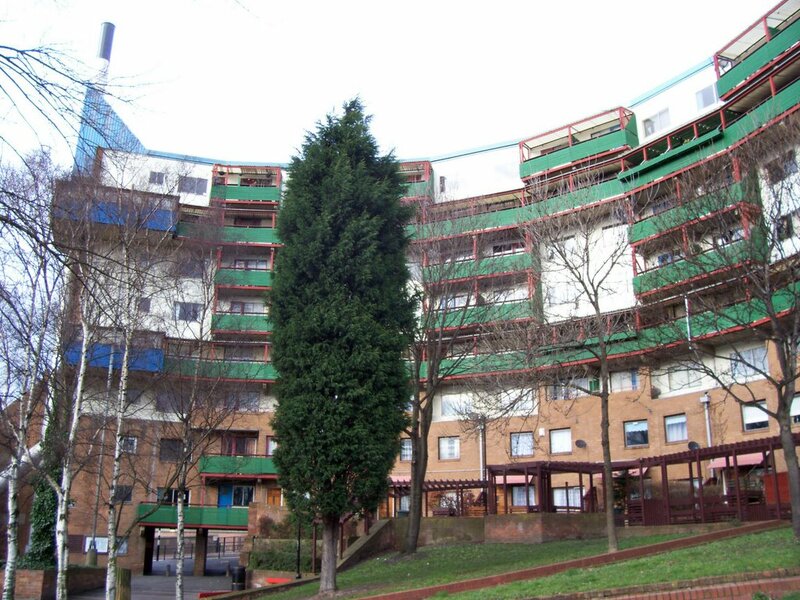 For example, a new coloured aluminium window frame has been designed to allow for improved security and insulation, without compromising the visual impact of the buildings. 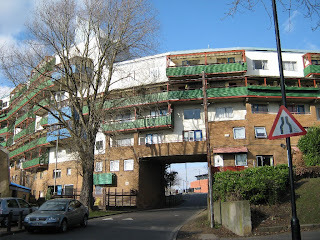 The most recent phase of this was due to be completed in June 2008. 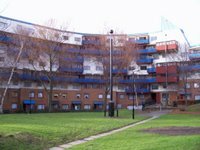 A bid for PFI funding from the Homes and Community Agency (to the value of £80 million) was sought in June 2009 to fund the project, which was estimated to cost £210 million, but was rejected as it did not meet the criteria. 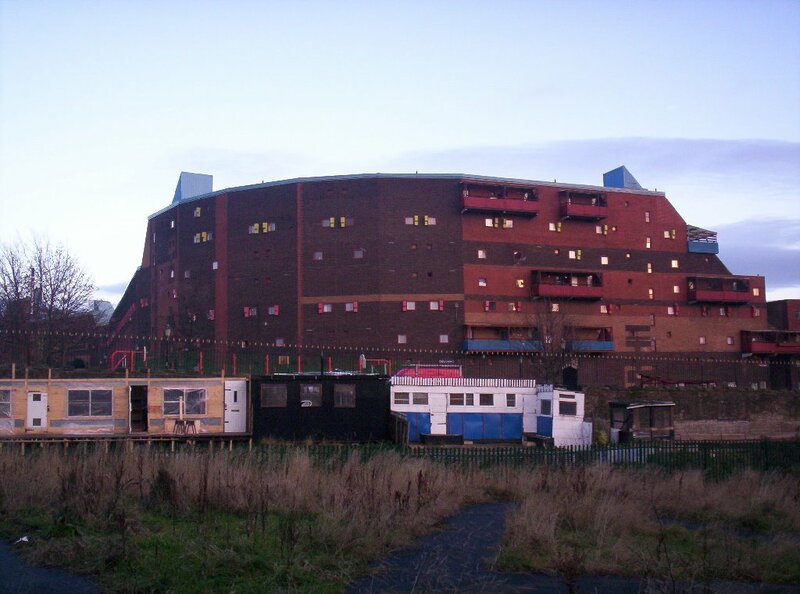 On March 16th 2005 the architect of the wall died at the age of 91.